A brilliant classmate of mine is running a campaign to help fund a student’s educational dreams. You can support here, the full story is below. Thanks in advance, :)! Can you pinpoint the moment where you knew that your life was going change forever? And how that one specific moment led to all the other amazing opportunities and pathways in your life today? I remember my moment – opening a letter to the University of Pennsylvania, realizing that my parents’ dream had come true. Because of my education and the people that constantly pushed me, I believe that is the reason why I am standing here today. My name is Mr. Anthony Zarate and I’m the 7th/8th-grade math teacher at a charter school on the Southwest side of Chicago. I’ve been a teacher at this school for the past 5 years and if there is one thing I’ve learned, it’s that all students can achieve and they will meet you at whatever bar you set. Meet my student and mentee, Alberto Hernandez. He is currently one of my 8th-grade students graduating this June in the Class of 2018. I met him five years ago as a 4th grader when he would constantly get sent over for being disruptive. Through much of his middle school career, he struggled to perform academically and his disruptive behavior gave him a notorious reputation each year. His grades were typically below average; however, this was never representative of his highest potential. 1) Alberto made the honor roll (A’s and B’s, for the first time in the five years he’s been at our school) all three quarters and is on track on making it for the full year. 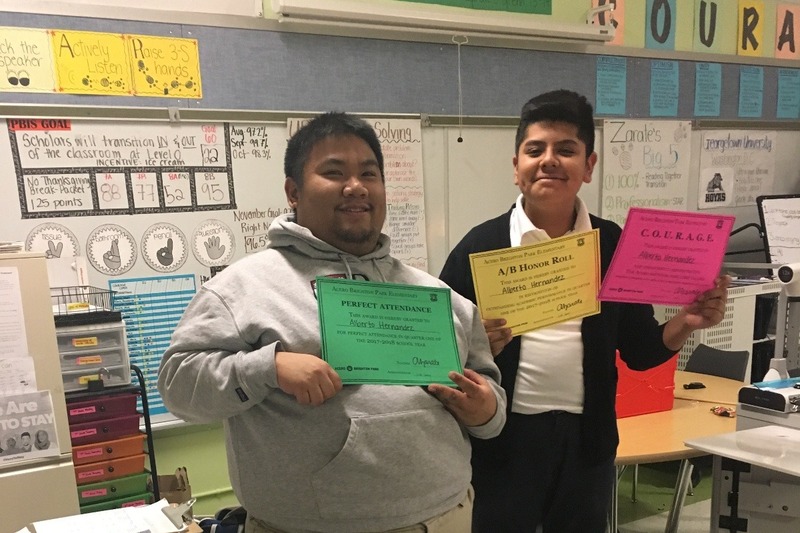 2) Alberto attained perfect attendance for all three quarters – something he had not done before. 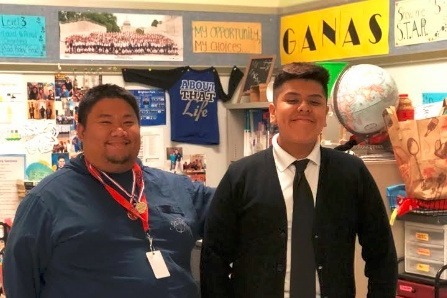 3) Alberto received the COURAGE award in our building – awarded to two students per grade level for showing school values and striving to be their best every day. 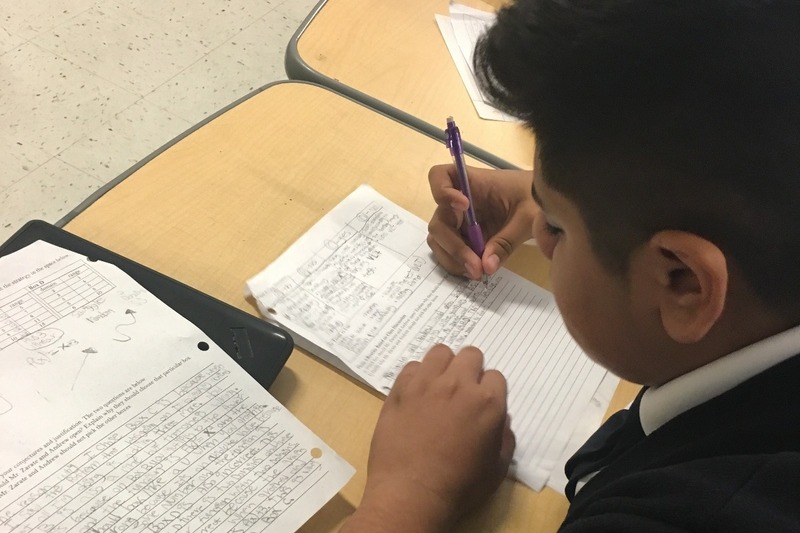 5) Alberto has also mentored one of my 7th-grade students to also strive for his best. At the beginning of this year, Alberto had mentioned to me that his dream high school would be to attend Howe Military Academy, a boarding military high school in Indiana. It is one of the best military academies in the area and well-known throughout the country. It has the perfect fusion of discipline, military training, and academic rigor. At first, I was worried about Alberto’s chances because of his history with academics, but with his transformational rise and a charismatic interview, he was accepted to join the Fall Cohort 2018. His reaction is one of the Top 3 most memorable moments of my teaching career. He is now completely motivated and I know this is going to be the moment that help change the trajectory of his life. Howe Military Academy’s tuition for the year is $36,300 including room and board. Not many students at my school are accepted or even attend boarding school because of tuition. In fact, only two students in my career have attended boarding school, but have received full scholarships. 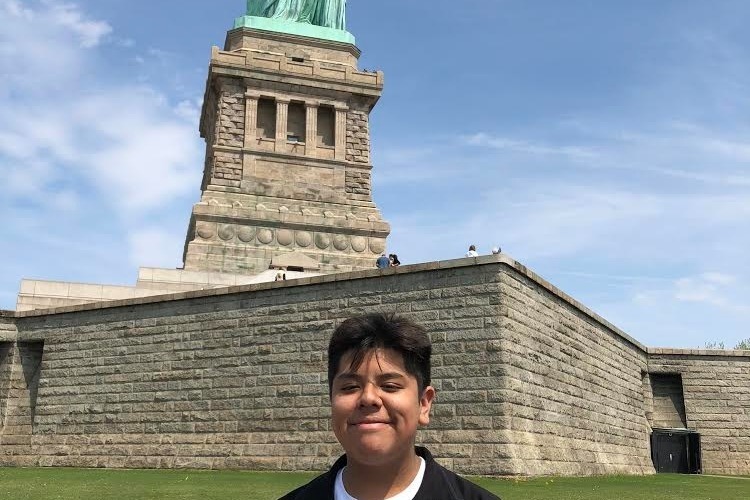 Alberto really wants to attend this school and there are many benefits for him – the experience of boarding and being away from home, getting responsibility early, and becoming more independent. It will prepare him as he also has goals and aspirations to attend West Point for post-secondary education! Alberto has goals of attending college and being a role model to other young men of color. He wants to message that they can do it too! So far he has received financial aid and has $14,000 left in tuition costs. I would like to help raise this money for Alberto and his family. His family is extremely hard-working and supportive of him on this endeavor. I am hoping to turn this into a scholarship for him to let him know that there is a group of people supporting him on his dreams of attending Howe Military Academy and for his future. This $14,000 will go towards his tuition, which again includes room-and-board. Any extra funding will go towards his tuition for the following year. Thank you for reading his story and thank you in advance for your contributions! If you leave me your e-mail, I’ll be happy to share updates of Alberto’s journey as he goes through high school.